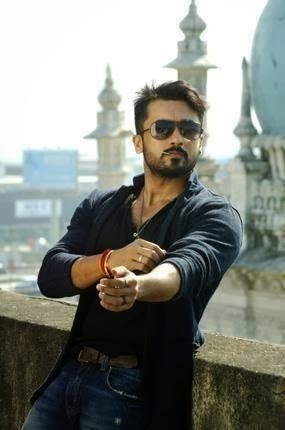 As soon as the title of Surya’s next film with N. Lingusamy was announced as Anjaan, fans were hoping that the makers would provide the first glimpse of how the actor would appear in it. In line with the spirit of the title, the first photograph released has Surya sporting a look that one would associate with a ‘stylish’ ruffian, an archetypal character commonly seen in contemporary Tamil Cinema, against the backdrop of what looks like a minaret of a mosque. 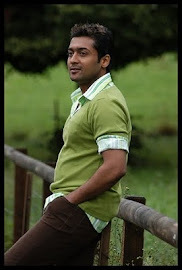 Reportedly, Anjaan’s director Lingusamy came up with a lot of references based on which Surya worked his look. A member of the team confirmed that the decision to go with this get-up was eventually taken by the director. According to a press release from the producer’s desk, UTV Productions will co-produce Anjaan with Lingusamy’s Thirrupathi Brothers. They have managed to put together an exciting team which includes cinematographer Santosh Sivan, music composer Yuvan Shankar Raja and art director Rajeevan. The cast and crew have already shot for over a month in Mumbai and are expected to arrive in Goa by the end of January before moving to other parts of Maharashtra.